The General’s Women by Susan Wittig Albert is a historical fiction novel about Eisenhower’s life as a general during World War II and as president of the United States. 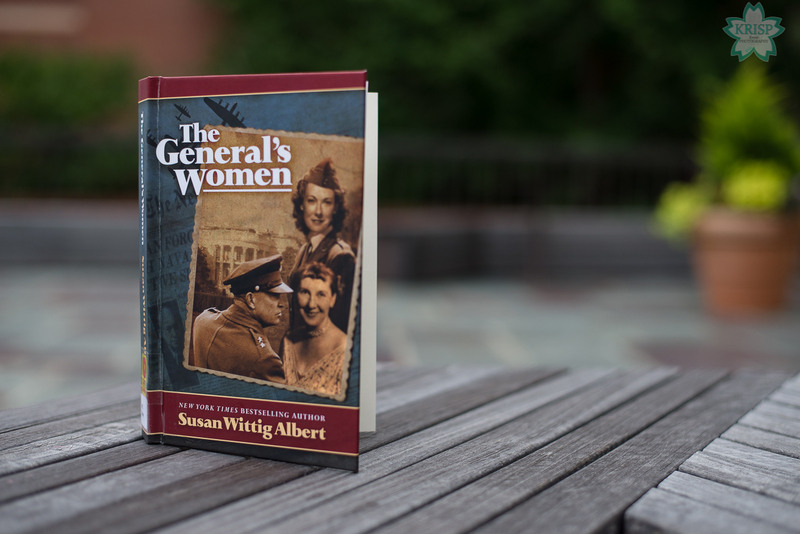 The majority of the book focuses on his time as General during the war. 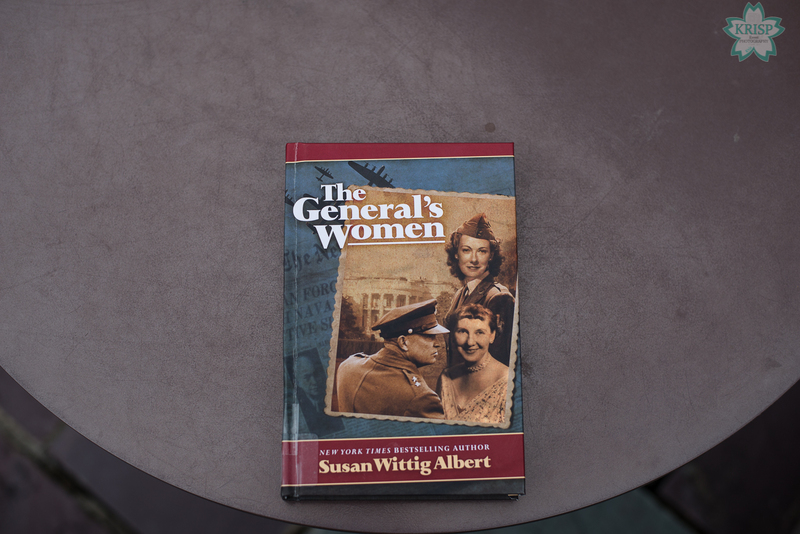 The story begins with a brief retelling about how Eisenhower’s career in the military began, how he met and married his wife, Mamie. The retelling of these years of Eisenhower’s life is told through Eisenhower’s and Mamie’s memories and conversations Mamie has with her friends while they’re sitting around playing cards. The remainder of the book tells the story of Eisenhower’s relationship with mistress Kay Summersby. How they met, how the relationship began, how they maintained it and how it ended. Kay Summersby is an Irish woman living in Britain during the war working as a driver. She drives American military personnel around London when they are visiting on business. Eisenhower and Kay meet when she is assigned as his driver during one of his trips to London. At the time they meet, Kay is involved with an American soldier and is waiting to marry him. Both the soldier and Kay had been married previously and were waiting for their divorces to go through before they married. Despite Eisenhower’s being married and Kay being in a relationship, they are drawn to each other. When Kay’s fiancee/beau dies in combat, she is devastated and turns to Eisenhower for comfort, where their relationship turns more serious. Back in Washington DC, Mamie is having a hard time dealing with the rumors about Eisenhower and Kay and keeping her jealousy from boiling over. It is a well-written story about Eisenhower and Kay’s relationship, but also about the important role each of them played during the war. Since, I’ve started this year’s reading challenge, I’ve learned that one of my favorite genres of book to read is historical fiction. I enjoy reading novels that are based on true events and real people. Or during a time period in which it could be hard to imagine to be alive. I have found most of them to be captivating and enjoyable – even if I don’t like the book in the beginning. I enjoyed reading this book. I learned a lot about three people that I didn’t know a lot about previously. It was an opportunity to learn more about an important figure during WWII and a former president. It is no surprise that you do not hear anything about Kay, but this book does a great job of portraying the relationship that Kay was not allowed to convey in her memoirs. At the end of the novel, the author does a great job of going through what parts in the book are fiction based on the information she researched and how she drew the conclusions she did. She also lists her sources for information and goes through a thorough explanation of how the book came to be. She also lays out the facts and the conclusions she drew from them to write this book. I recommend it to anyone with an interest in U.S. presidents, general history, American or World history, World War II, romances or historical fiction. I picked up a copy from my local library, but you can also purchase it at Amazon or Barnes & Noble.